Rhett Lego, CEO of the Conjoint Marketing Group in Germany, helped make a remarkable short video of Guurrbi Tours about five years ago. Recently he wrote his memories of that afternoon with Willie for German tour operator, Art of Travel, and sent us a copy. Here it is. "I have a belief that there will be about five memories in my life that I will take with me to my grave. One of mine will be of my time with Willie Gordon in his homelands north of Cooktown in Far North Queensland. "In my role of promoting Cairns and the Great Barrier Reef region across Europe and the UK, I have the pleasure of promoting some of the world’s greatest and most unique places, let alone the people in this remarkable corner of the planet. 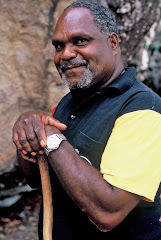 "On the morning I first met Willie in his country on his rock art tour, I was accompanying a group of five backpackers who we had recruited to be part of a film promotion we were shooting for Cairns. 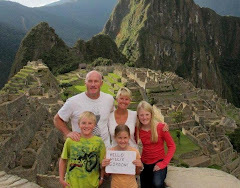 We had backpackers from Ireland, England, Antigua, Australia and Switzerland. We had had a rather large night in Cape Tribulation the night before and I remember telling them that I didn’t care what time they went to bed, but when they got up to meet Willie the next day, they had to remember the word: Respect. "We drove up the Bloomfield track from Cape Tribulation to Cooktown and from there about and hour and a half further north of Cooktown to where Willie lives in his country. "As we waited in the car park, Willie arrived in his understated casual way and introduced himself to the group. 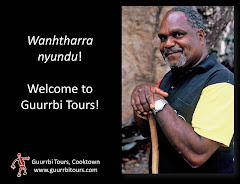 We all began an immersion into his country as he described the dreaming stories of his land as we walked along our path across an escarpment to the top of an open, rocky area that afforded us a remarkable vista over the country. "As we walk, Willie quietly tells his stories and finds out more about our group of young and somewhat hung- over backpackers, who by this time were intently listening to every word he was telling us all. "As we walked down a track toward the cave where the rock art is which is tens of thousands of years old, we come across a snake sunning itself on the track. Willie encourages us to walk quietly past where the snake had slid off into the undercover, leaving me in no doubt that he was silently telling the snake that we were OK and wouldn’t be any cause for concern for Mr. Snake. I hate snakes by the way, but somehow with Willie’s presence I sort of felt safe. "We arrived at the rock art site where Willie allowed us to sit and gather our thoughts and bath in the splendor of the magic of this place. The backpackers were feeling the humidity and the impact of their late night. Owen the mad Irishman was sitting quietly on his own when Willie just sat next to him and spoke to him, telling Owen about parts of his life that he should not have known given that they had just met. Owen was a hard drinking, heavily tattooed loveable mad-man. But after a few minutes Owen was in tears responding to Willie's questions telling him about his early years of his life, which Willie somehow seemed to know all about. "Meanwhile the young woman from Antigua was sitting quietly and Willie commented that he knew her mother was no longer with her but that she would see her again and that she was OK. The girl was both visibly shocked and at the same time remarkably calm as she and Willie proceeded to discuss how she had lost her mother early in her life, but that in their next life they would be together. 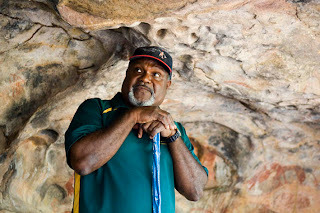 "Willie recounted his stories of his lands; of the cave art; of his ancestors and of course of his lessons in life which, whilst steeped in thousands of years of wisdom, are as relevant today and they have been over time. "I sat in awe – not only at the remarkable spirituality of Willie the man, but at his incredible human insight and calmness. His tour was incredible; his passion for what he does and how he does it unrivalled; his ability to connect to people uncanny, and his warmth as an individual one of the most engaging I have encountered in my 50 plus years on this planet. 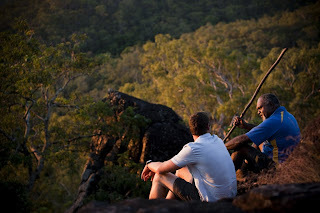 "The five hour journey back to Cairns was a quiet and reflective time for us all, with each of us knowing that we had just had an incredible experience. Owen the mad Irish man was quiet and reserved that night. He had been touched by Willie, as indeed had we all. "As I write of these experiences, the hairs on the back of my neck stand up in memory of my time with this incredible human being. 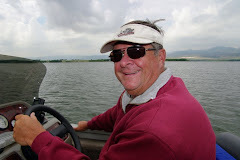 This is truly a man and a tour that you need to do – it will be an experience you will remember for life." Thanks so much for sharing this, Rhett, and for the great short video which came out of the visit. If you would like to see the video - and to meet Owen, the Irishman! - click the link. And here's the shorter version of the article in German which resulted.